- added confirm message before "force update"
- fixed moving ddclient.cache on shutdown instead of deleting. This prevent update the ip and abuse, if the system reboot to often. - added colored rows, rows are colored in the same color as the status color, only if status not "good"
- change text "No response from" into "Could not connect to"
I need to create a cloudns host, but the it use http to update. I don't know how to create the protocolo in ddns updater 2. My provider does not provide a ddns service but an e-mail interface for zone updates. Can this package generate E-Mails based on the IP data? DDNSupdater supports many dynamic IP providers, but I am missing cloudns.net. 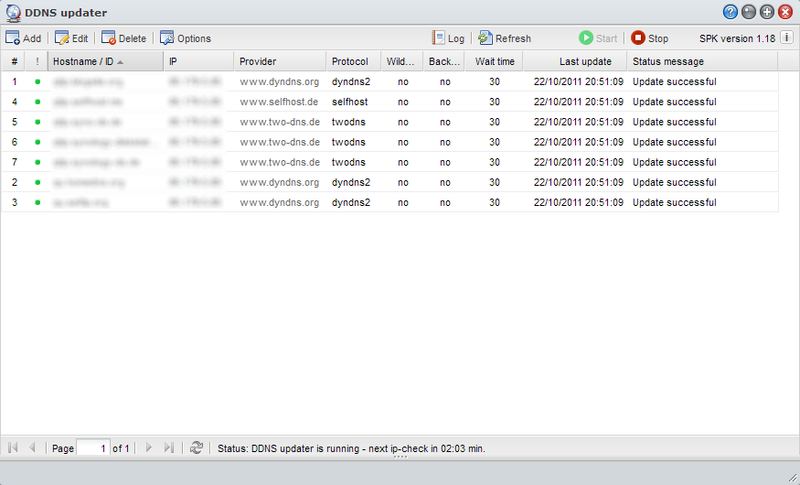 You can have them host your own domains (like pc5e.nl) for free and they also provide dynamic DNS updates. The only thing you need to do is do a HTTP GET of a specific URL you can get from your DNS dashboard. The URL looks like this: http://ipv4.cloudns.net/api/dynamicURL/?q=xxxxxx (xxxxx = unique ID you get from the cloudns dasboard). There also is an ipv6 version (ipv6.cloudns.net). Question: can this type of ddns update be added to ddnsupdater? Either as a provider or just adding the HTTP protocol for the custom provider option, so I can add the URL as the server (no user/pass needed or anything). Someone can help me to configure ddns updater parameters? With settings needs to be configured? Would love to see Route53 directly supported by this. It would probably require including a Python script (boto I believe). Which protocol will allow me to use the following update string? 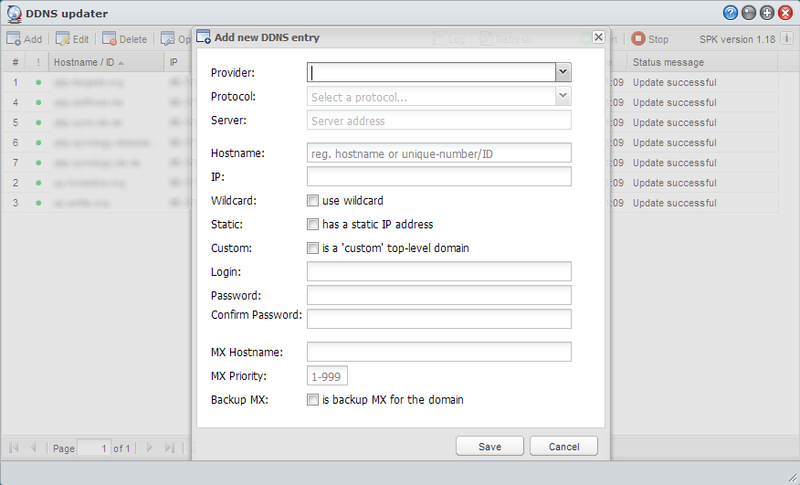 This will update all of my domains or just a single hostname with this ddns service provider.